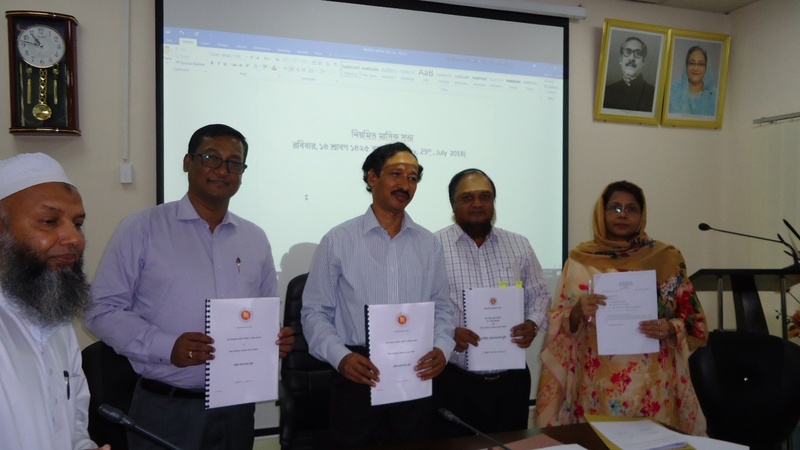 Annual Performance Agreement (2018-19) was signed between the Controller General of Accounts (CGA) & the Secretary of Finance Division on 21 June, 2018.The Vision, Mission, Strategic Objectives and Functions of the office of the Controller General of Accounts were reflected in the Annual Performance Agreement (2018-19). 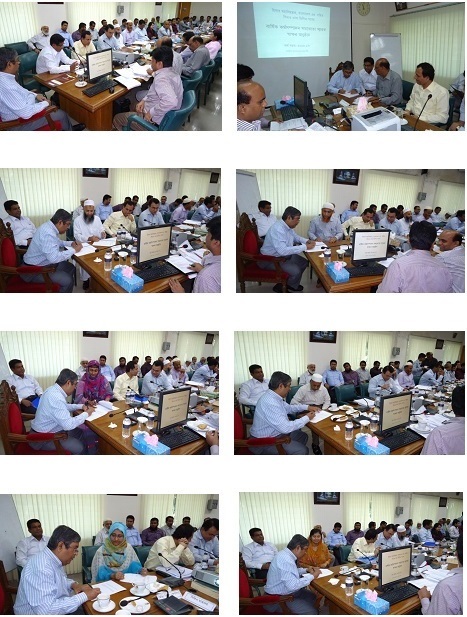 Senior officials of Finance Division & OCGA were present on the occasion in Finance Division. Annual Performance Agreement (2018-19) between Controller General of Accounts (CGA) and Chief Accounts Officers (CAO) was Signed on 29 July, 2018 at CGA office. 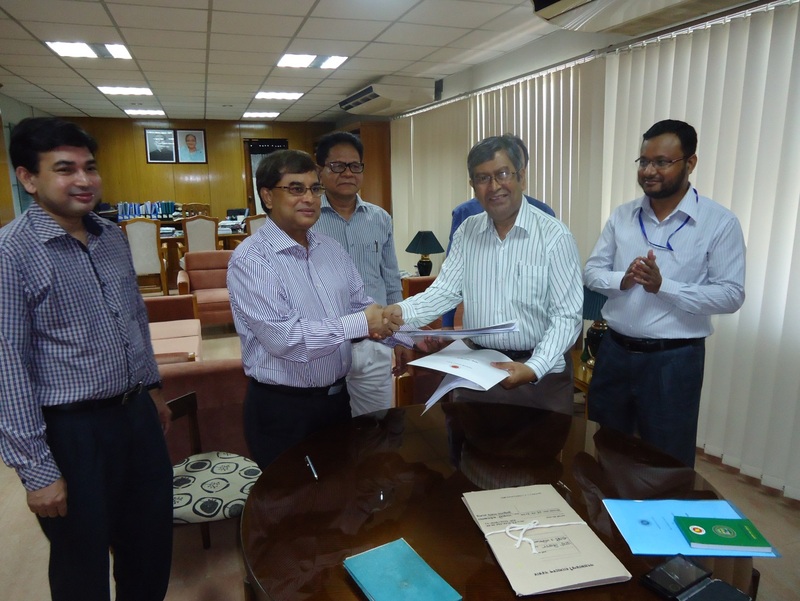 Annual Performance Agreement (2018-19) between Controller General of Accounts (CGA) and Divisional Controller of Accounts (DCA) was Signed on 29 July, 2018 at CGA office. 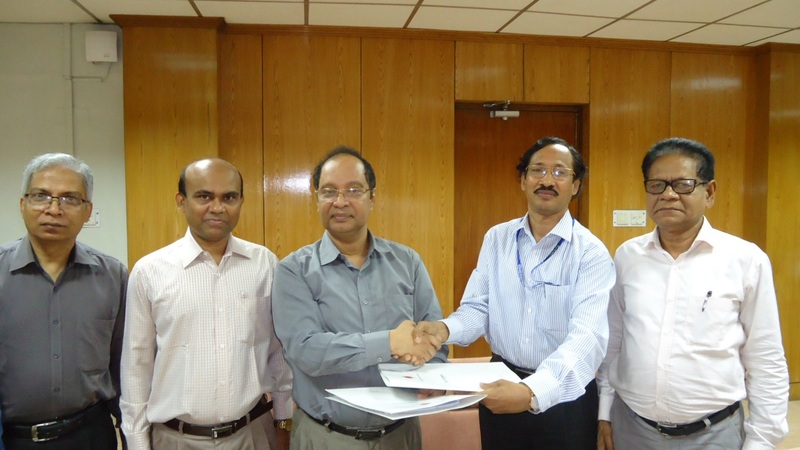 Annual Performance Agreement (2017-18) was signed between the Controller General of Accounts (CGA) & the Senior Secretary of Finance Division on 15 June, 2017. 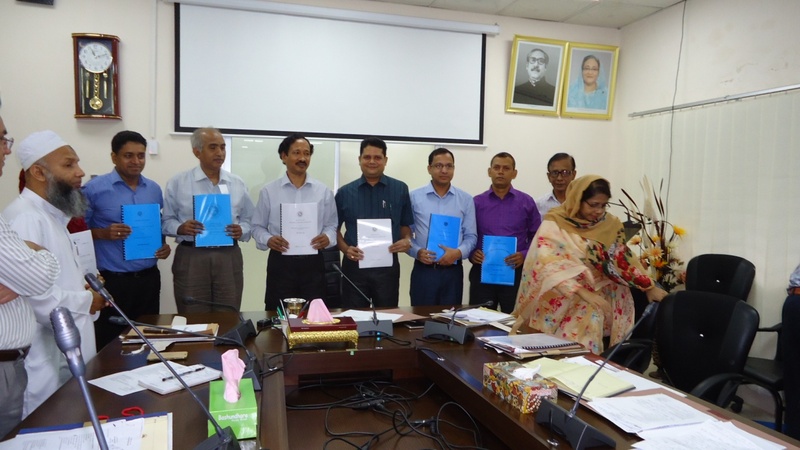 Annual Performance Agreement (2017-18) was signed between Controller General of Accounts (CGA) & Chief Accounts Officers/Divisional Controller of Accounts on 15 June, 2017 at CGA office. A workshop on “iBAS++ Accounting Module” was arranged on 28 February, 2017 at CGA office. A Preparatory Meeting of Development Fair-2017 Implementation Sub- Committee was organized at CGA office on 5 January, 2017. Mr. Md. Amir Khasru, CGA, presided over the meeting with the presence of the representatives of the Finance Division. A meeting on ‘Creation of Employee Database through Online Pay Fixation’ was organized at CGA office on 1st December, 2016. 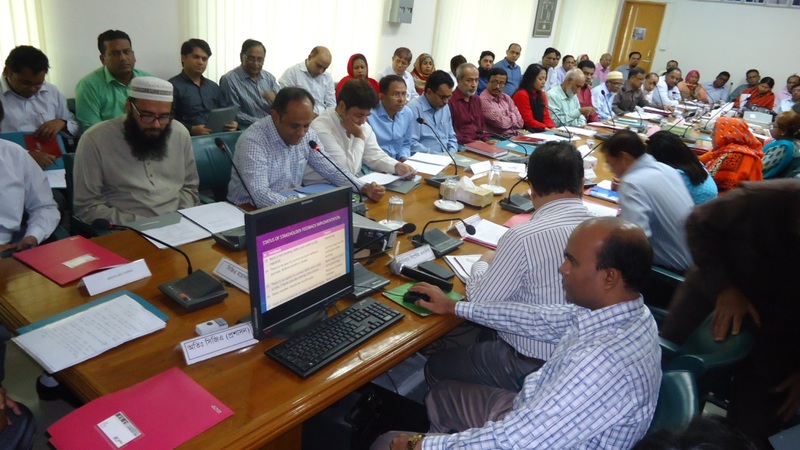 All the Chief Accounts Officers (CAO) and Divisional Controller of Accounts (DCA) discussed thoroughly and shared their views over the matter. CGA Mr. Md. 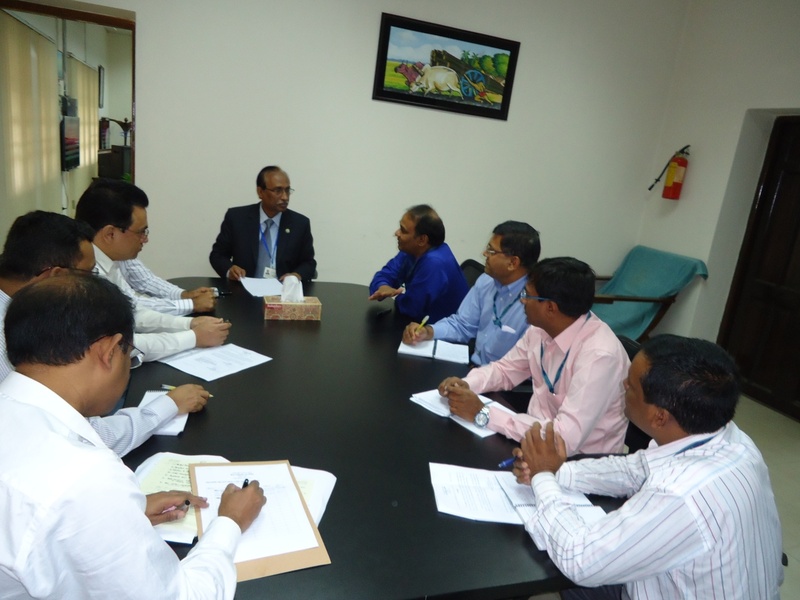 Amir Khasru presided over the meeting with the presence of Mr. Muslim Chowdhury, Additional Secretary of Finance Division. Controller General of Accounts Mr. Md. 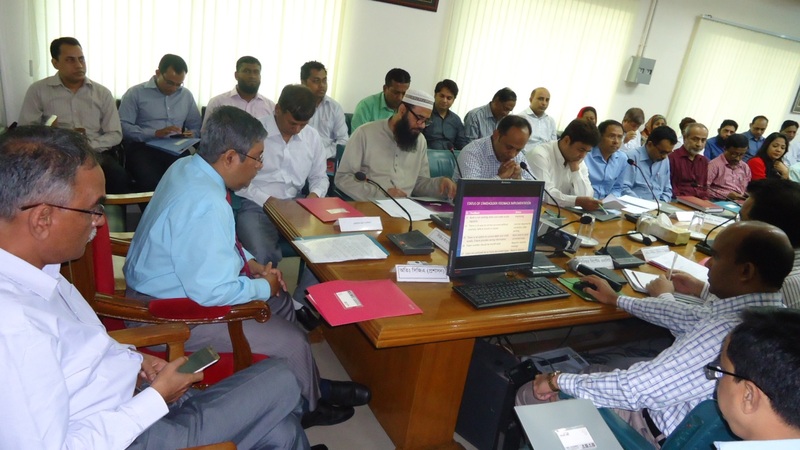 Amir Khasru presiding over a meeting regarding audit objection on appropriation accounts (2013-14) of postal department. Among others Director General, Post, Telecommunication, Science & Technology, representatives of postal department & representatives of Ministry of PTST were present at the meeting. Annual Performance Agreement (APA), 2016-17 between CGA office and CAO/DCA office has been signed on 24 October, 2016. 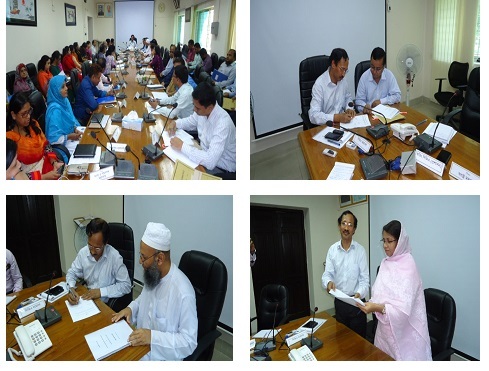 Annual Performance Agreement (APA) between Finance Division and CGA office has been signed on 30th June, 2016 at Finance Division. 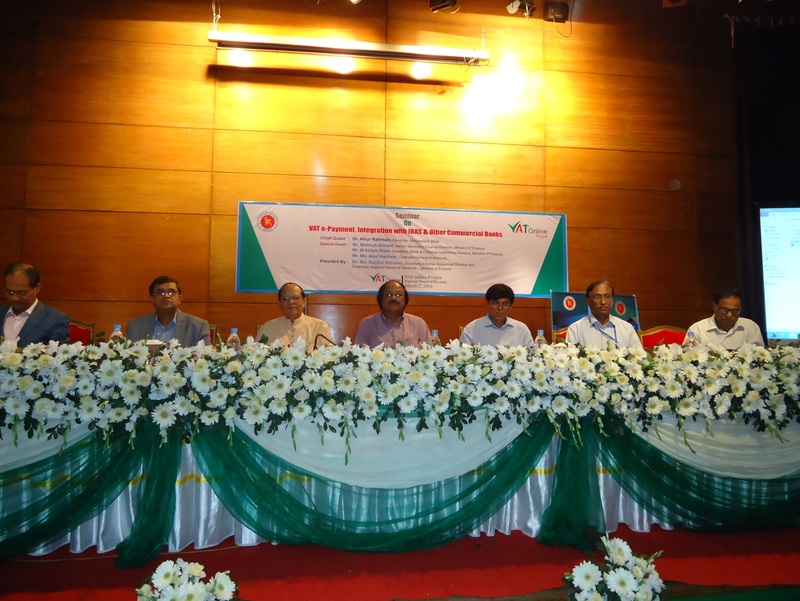 A Seminar on “VAT e-payment, Integration with iBAS & Other Commercial Banks” was organized on behalf of “VAT Online Project” at IDEB Bhaban in Dhaka on 2nd March, 2016. Presided over by Mr. Md. Nojibur Rahman, Secretary, IRD & Chairman, NBR, the Seminar was attended by the Bangladesh Bank Governor Dr. Atiur Rahman as Chief Guest. 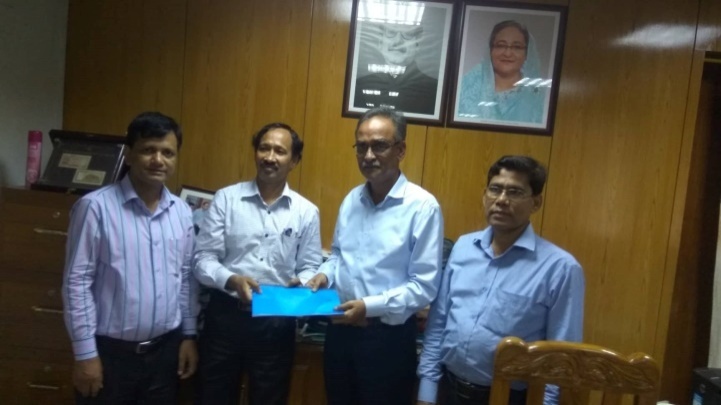 Mr. Mahbub Ahmed, Senior Secretary, Finance Division, Mr. M Aslam Alam, Secretary, Bank & Financial Institution Division and Mr. Md. Abul Kashem, Controller General of Accounts (CGA) were present as Special Guest. 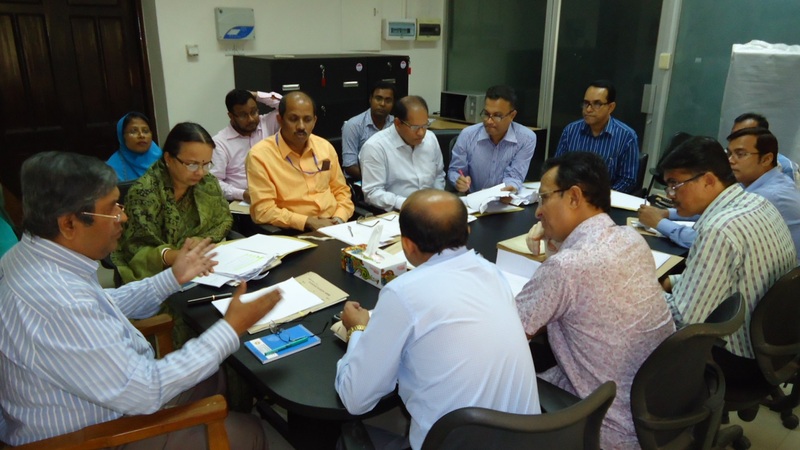 A meeting was organized on Expansion of EFT (Electronic Fund Transfer) in Divisional Level with the representation of CGA office, Bangladesh Bank & PEMS Project at CGA office on 3rd December, 2015. 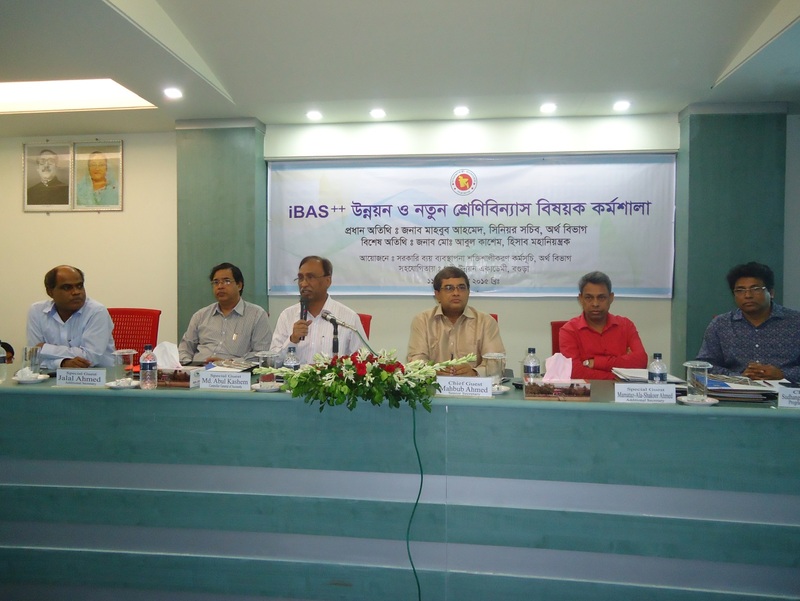 Workshop on "Development of iBAS++ and New Classification"
A workshop on "Development of iBAS++ and New Classification" was organized on behalf of the PEMS program on 11th September, 2015 at Rural Development Academy (RDA), Bogra. 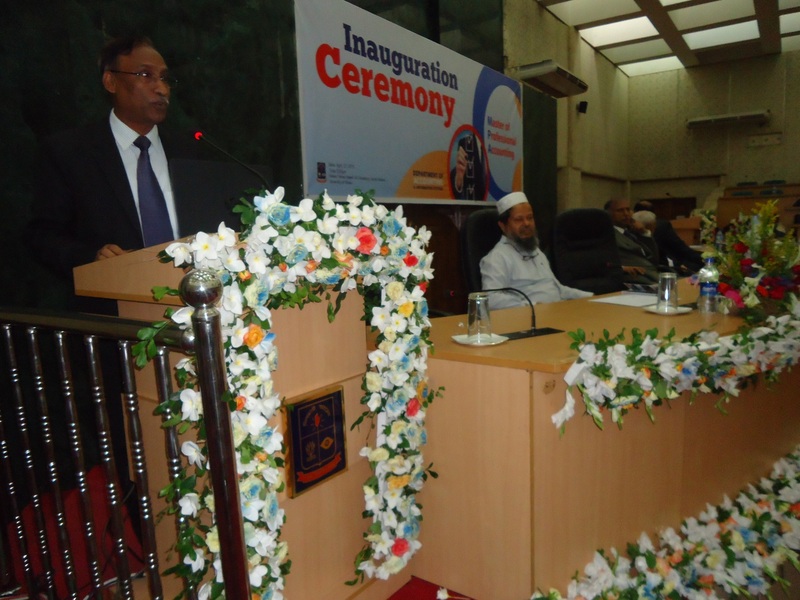 Senior Secretary to the Finance Division Mr. Mahbub Ahmed was present there as a Chief Guest. CGA Mr. Md. Abul Kashem attended the presentation session as a Special Guest. Officials from Finance Division, CGA office and the PEMS program were also present there. They shared their opinion on modernizing the present Budgeting and Accounting System. 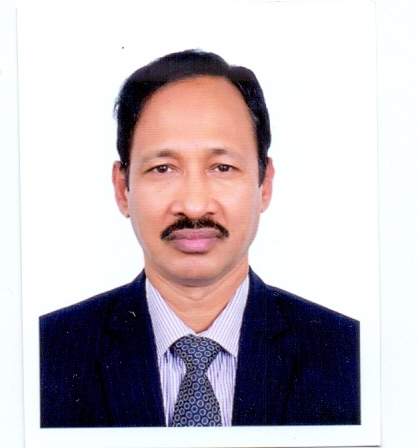 Controller General of Accounts (CGA) Mr. Md. 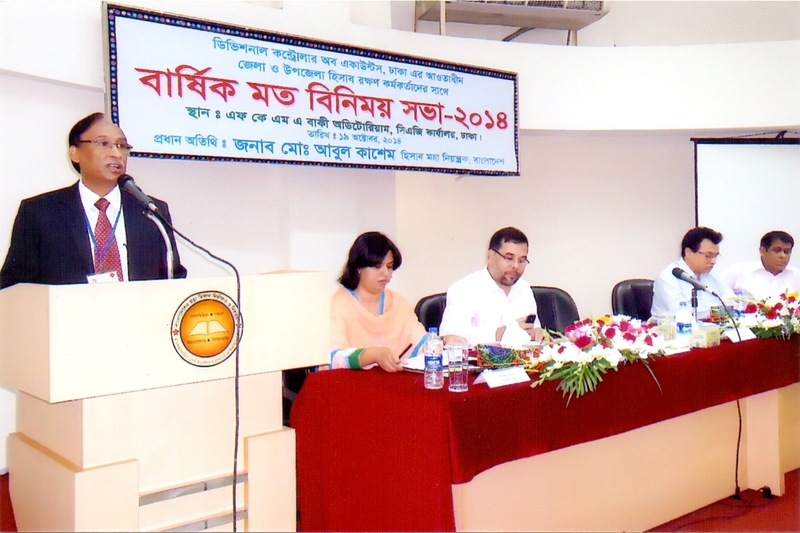 Abul Kashem addresses the Launching Ceremony of Master of Professional Accounting (MPA) as a Special Guest at the Department of Accounting & Information System of the University of Dhaka on 27th April, 2015. Seminar on "CGA-Perspective: Transparency & Accountability"
Mr. Md. 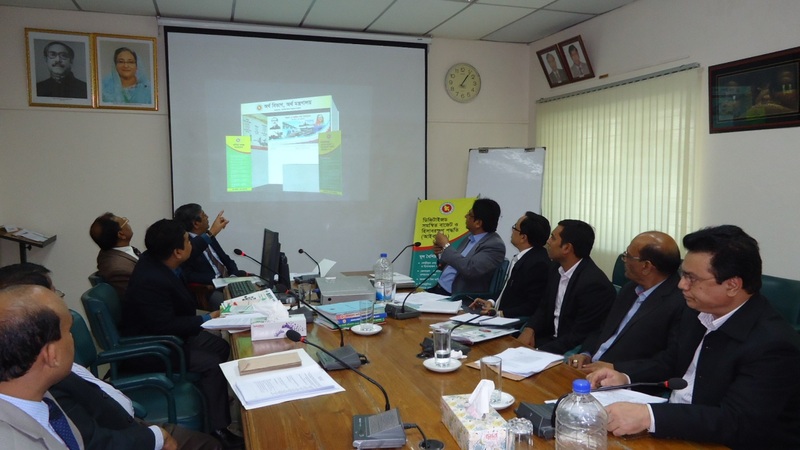 Abul Kashem, Controller General of Accounts, Bangladesh addresses a seminar on “CGA-Perspective: Transparency & Accountability” at CAO, LGD on 11th December, 2014. 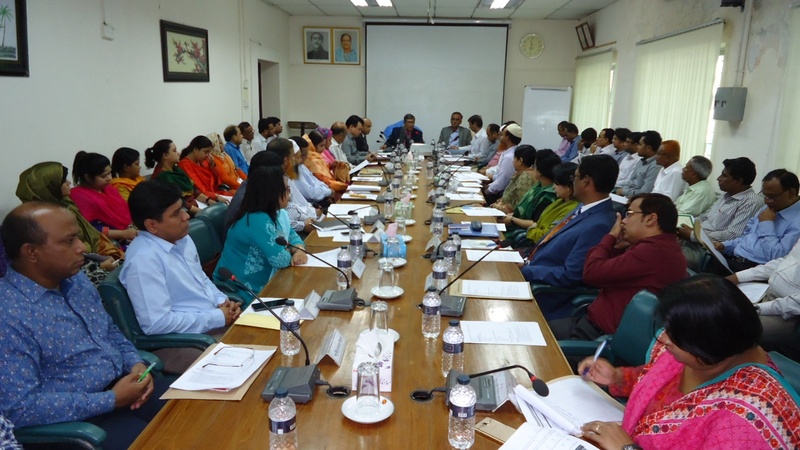 A meeting on service delivery improvement in District and Upazilla accounts offices under Dhaka Division was held in Audit Bhaban on 19th October, 2014. Controller General of Accounts Mr. Md. Abul Kashem was present in the meeting as chief guest. The issue related to quick and effective service delivery in accounts offices were discussed thoroughly in the meeting. 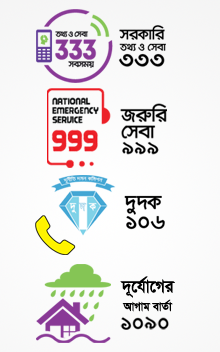 Participating officers put forward various innovative suggestions for effective service delivery improvement. The chief guest urged upon all to be a leader in quick delivery & helping in image building of the Accounts Department.